Pass the lemonade. 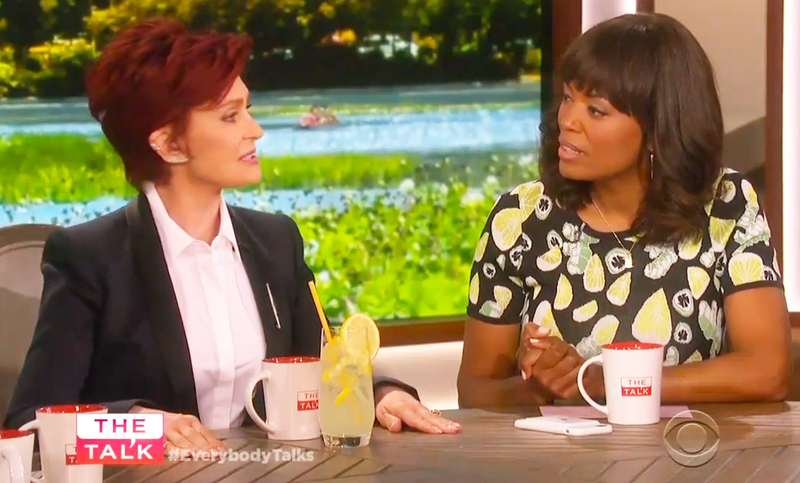 Sharon Osbourne addressed her separation from her husband, Ozzy Osbourne, in her return on CBS&apos; The Talk on Tuesday, May 10. Guess who's turning ? 's into #lemonade? "I honestly cannot thank people enough for their backing me. For saying they love me. For everybody here at my home, supporting me, sending me messages of love," she continued. "I honestly am empowered and I have found this inner strength and I&apos;m like right. OK. What&apos;s next?" Along with her newfound confidence, Sharon also confirmed that she initially kicked Ozzy out of the home. "It&apos;s true," she said with a chuckle. However, Ozzy&apos;s now returned to the couple&apos;s Beverly Hills mansion, prompting Sharon to leave the home. "He&apos;s back and I&apos;m out of the house," the TV personality revealed. "It&apos;s right for me because I honestly at this point today have no idea what I&apos;m going to be doing with the rest of my life," she shared. "I don&apos;t know where I&apos;m going, who I&apos;m going with. And I just need time to think. And really think about myself, about what do I really want for … Because I&apos;m 63 years of age and I can&apos;t keep living like this." Despite the separation, Sharon and Ozzy are still on speaking terms. "I love Ozzy dearly, you know. He&apos;s given me an unbelievable life," she dished. "He&apos;s given me three gorgeous children … You know, I love him." There&apos;s still a tiny sliver of possibility that they could get back together — or divorce. "I honestly don&apos;t know," she said on Tuesday. "At this point, I cannot answer that because I don&apos;t know what I want."